For more information about some of the products that R & I Doors & Windows Unlimited depends on, we have provided the following links. If you have any questions, please do not hesitate to contact us. Elite windows is a manufacturer and distributor of natural wood windows, wood aluminum clad windows and vinyl windows. Novatech Group offers glass transformation, custom making of door glass, and manufacturing of steel and fibreglass door panels, bending, and extrusion of PVC. Masonite is known worldwide for its doors. Whether you need entry, interior or patio doors, Masonite provides innovative, quality products. Verre Select is a team of artisans and craftsmen that design and produce decorative glass inserts for doors and windows. 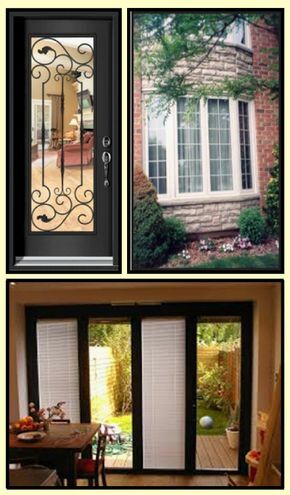 Wardco Window is a leading fabricator of a complete line of vinyl window and fiberglass entry systems. Trimlite USA designs and produces a beautiful catalogue of door lights. Their iron and glass decorative doors make any home entrance beautiful. Miliano Design Ltd has strived to become a leader and innovator in wrought iron decorative inserts.Through understanding of design and technical expertise, Miliano Design has stood out as one of the best creators of designs and inserts. With 18 years of experience, Miliano Design has accrued knowledge in metal design and manufacturing that is surpassed by none. Dayside Windows & Doors has over 55 years in the industry making custom vinyl windows and entry doors that are built to last.